Herzstück can be roughly translated as centerpiece, core, heart, or linchpin. With such a moniker, this pen stands as a testament to just how important those first fountain pens and the tradition that they established are to Pelikan. This Limited Edition model has been designed with an amazing level of detail making it worthy of its ancestors. To start, the black resin cap is topped with an 18K gold dome that depicts the original four chick logo which was first employed on the fountain pens of yesteryear (1929-37). The teardrop clip is engraved with a pelican motif reminiscent of the original 111T Toledo. Rather than a cap band, the words “Herzstück Pelikan” are engraved circumferentially just above the lip of the cap. There is a transparent ink view window set within the black resin body beyond which a golden piston assembly can be visualized. That assembly is engraved “Pat. DE457462” a designation based on the historical patent number. 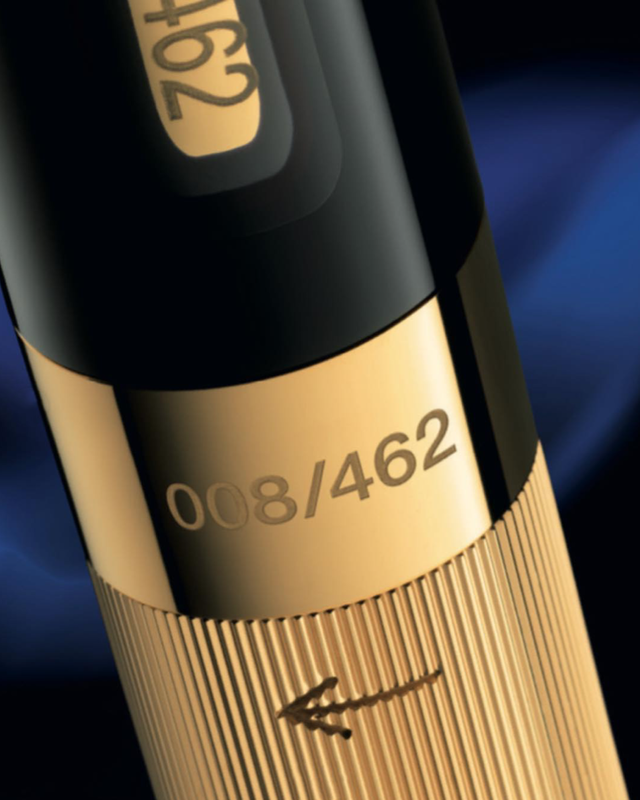 The end of the barrel is capped by an 18K piston knob which is engraved with the edition number. The nib is made from an 18C-750 gold in a medium width and has a unique engraving just for this model that includes the words “90 Years” above the four chick company logo. The pen will come packaged in a unique gift box that includes a specially labeled bottle of 4001 Royal Blue ink. Playing off of the last three digits of the original patent number, this edition will be available in a run of only 462 individually numbered pieces worldwide. It will be of a similar size as the previously released M1o1N models. That means we can anticipate a length of approximately 4.84 inches when capped, 6.22 inches when posted, and with a diameter of 0.47 inches. Unlike those previous models, this one weighs in at a hefty 1.6 ounces which is likely due to the gilded parts and metal piston assembly. The team at Fritz Schimpf have already had the opportunity to view an actual production piece and they indicate that it is very similar in appearance to the marketing photos. Depending on the vendor, U.S. customers shopping overseas can anticipate paying $2200 to $2400 for the privilege of owning this beauty when the VAT is excluded. If the photos really are to be believed as suggested, then this one is an absolute stunner with its black resin and well placed gold accents. I think rather than a direct copy, this model pays wonderful homage to its heritage. Vendors are taking pre-orders now which I would encourage given the limited availability. With three months until the release date, you have a bit of time to save up for this one. What do you think of the Herzstück 1929? Ha! That was my first thought as well. Wow!. Really beauty, piece of jewelry, joy for collector and pain for wallet. Pain indeed but this one seems like it might be worth it. You are right. I think I will jump to get it for my collection. 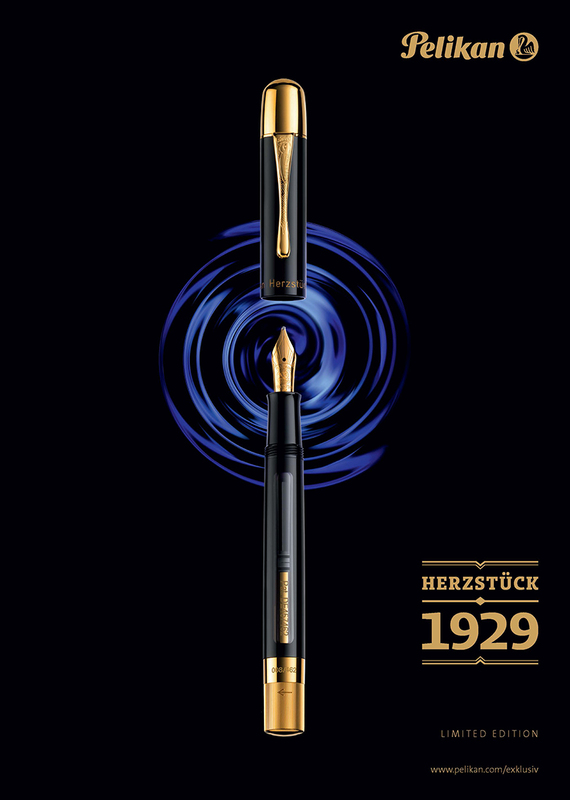 I look at the siluet of the Herzstück 1929 and understood, what I miss- the cap top is conical instead of the cylindrical used for 1929 year pens. Oh dear, more expense. Will have to see what I can give up to pay for one. Nothing too drastic. Food and clothing seem like a good place to start. Can’t wait to get my hands on one of these when they become available. I think that I’m going to commit to one as well. I think that I would regret passing this one up. This is really attractive. At the top or perhaps just a bit beyond my self imposed limit for a fountain pen but based on the looks alone, this one is very tempting for me. It would fit nicely in your collection with some of your other birds. Depends on where you live and where you shop. I’d think anywhere from 1995 to 2500 euros. This is a beautiful pen, love the brand. With models coming out like this, there is a lot to love. Beauty of a pen, and nice commemoration of one of the reasons which I’ve enjoyed Pelikan so much and am honing in on their brand. Like others, above what I’ll pay. Still, I’m glad the pen will be out there! May the Lucky 462 enjoy! I like how the piston knob is a real focus piece, obviously. Still, well done. Sorry to hear that you won’t be able to pick this one up. The nice thing about Pelikan is that there are a lot of birds across the spectrum to fit just about any budget. 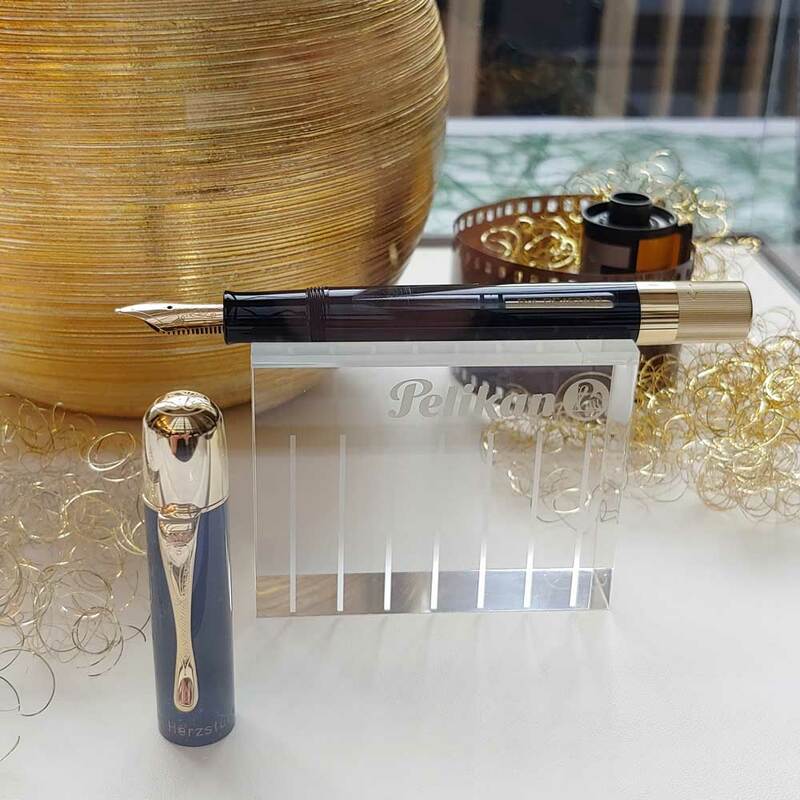 It looks like the start 2019 is going to be great in the Pelikan world. Recreating some of their past pens with the new material of today but the same look from the past is great for us as writers. We can use a fine writing instrument without the function issues they experienced in the past. I consistently use a recreation of the 1931 111T Toledo today that I purchased in the Asian market several years ago and it is a dream to use and one of my favorites. This will be another I will keep my eye on when it emerges onto the market. Thanks as always for your insights from the Pelikan Perch. The 111T or the Originals Of Their Time 1931 Toledo are on my wish list for one day. This one would compliment that nicely though I wonder if it won’t be a touch heavy based on the quoted 46 gram weight. A whole new direction, that’s nice. I have always loved the “sunrise nib”. Do you know the model number? Looks like a M101N, but probably isn’t. I presume it’s simply a word which sounded meaningful and descriptive. I’m sure it has nothing to do with anything Montblanc related. No specific model number that I’ve heard as of yet. It will likely be considered to be in the M101 family though will have to wait for confirmation on that. An absolutely beautiful pen but a tad bit out of my price range, still as was stated above congratulations to the lucky 462 folks who get one. It looks to be a noble and altogether worthy memorial to the ‘axial age’ of Pelikan. Thank you for the good news. If you will forgive my astonishment, are you sure the piston knob and finial dome are both solid 18K and not gold plate? P.W. Akkerman is offering it, for those exempt from the VAT, for € 1.724,21 (currently ~US$1,963.00). Might Fritz Schimpf offer a significant discount on their current price of € 2.500 when the pens arrive? La Couronne du Comte often opens with a 20% discount, though I don’t know that they will have this. For one utterly enchanted by the Herzstück 1929, but obliged to be frugal, is Akkerman the only choice? 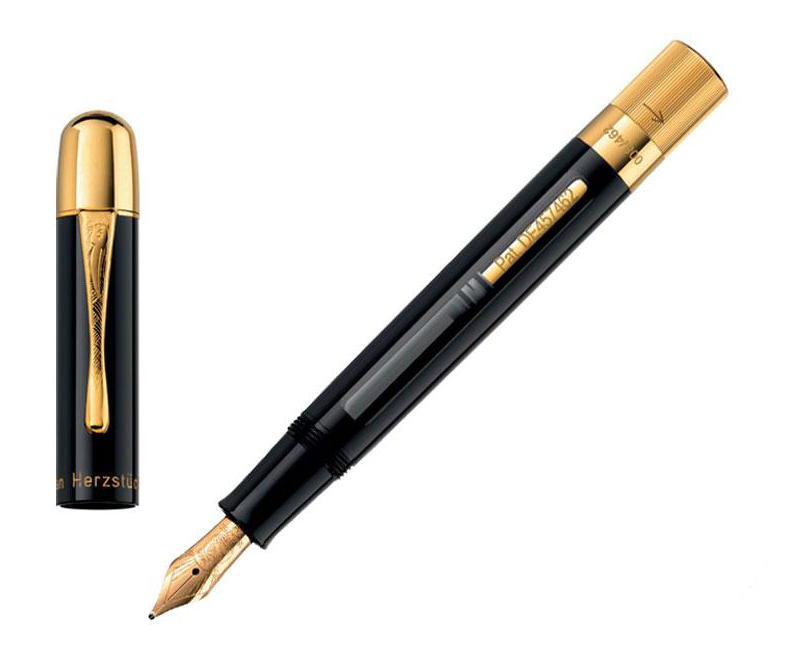 Forgive me, I overlooked the caption identifying the “gold-plated cap top.” The pen remains uniquely handsome, though how the material and construction justify the known prices is for the moment a mystery. I’m sure the price of the pen far exceeds the cost of the materials and labor that went into its production. It’s just a fact of life these days. Why does the M120, a stainless steel nibbed school pen for all intents and purposes, carry a price tag over $200. No good reason for it and that’s leagues below this one. I would presume the gilded parts are gold plated and not solid given the economics of the situation. The pen is already expensive enough as it is. You will see some variability in prices from vendor to vendor. I’d wait until more vendors get this on their sites and shop around for the best prices. Something this exclusive though won’t really lend itself to a ton of variability and since vendors will only get a few pieces each, you may have to pull the trigger sooner rather than later. I’d think anything in the low $2000s or less is likely worth jumping on. (With an embarrassed sigh) Your mention of “the black resin cap… topped with an 18K gold dome” and “the barrel… capped by an 18K piston knob” launched me into a reverie. The price I paid for a Raden Royal Gold, I thought, conceivably approached justification by the artistry and labor required of the Raden technique. I attributed the higher price of the Herzstück 1929 mainly to materials. But might not the manufacturing peculiarities of this faithful reproduction, even without the gold dome and piston knob, at least suggest a rational association of price and cost of production? In any case, I still call myself a user and not a collector, who will admire this reproduction and pass on to the next exhibit. I think with these limited edition models, the price of the pen usually far exceeds it’s production cost. Look at the M120 by way of example. That pen is priced far beyond what it cost to produce. I guess as long as their customers keep purchasing at these prices, they have no incentive to do any differently. Just look at what Apple has been able to get away with with their phones. Simply stunning pen. Unfortunately far far far beyond my humble means. That seems to be the emerging consensus, on both fronts. It’s a shame that beauties like these have to be so astronomically priced. I know that all too well. Almost every new release is like a knife to the wallet. I ordered mine from Appelboom–between their pre-order price and SBRE Brown’s discount code, it turned out to be a lot more attractive. It only comes in medium. In case I want to switch nibs, what size(s) would fit? Great vendor and a great price. I believe that works out to something just south of $1800. Likely won’t find a price better than that for this one. The question is going to be how many pens are each vendor going to get to sell. Please, where did you find the SBRE Brown discount code? Just use “Friend.” It’s Appleboom’s standard 10% off code. Thanks Joshua. This reopens the issue. But is an M nib practical for work-a-day use, can one write at length with it, with legible insertions and corrections between lines? I have used only F and EF Pelikan nibs. Fitness for daily use remains a necessary condition. The medium nib can be very workable depending on the size of your writing and just how big it runs. Some of that depends on paper and ink choices as well. You could always have its size adjusted to something finer by a nib meister if not to your liking. It’s my guess that M2xx and M4xx nibs will work in this one as well but I would have to have it in hand to confirm. Thanks again. Even if it is a little broad, where there’s a will there’s a way. Hoping the Danley household is filled with the joy of the season. Please inform me when available, with price. The pen will be available in March of 2019 and pricing will vary by region. You can expect to pay $1800 to $2400 depending on where you purchase from. If someone wants something badly, then the price can ‘usually’ be met. I’ve got all the recent M101Ns, bar the lizard with the diamonds, and love AND use them all. This model is very expensive and as I like to write with my pens, I feel that this model would just stay in its box. Besides – I can’t afford it! Very true. Where there is a will, there is a way. Everyone has to decide for themselves what the value of the pen is for them. The M101Ns are great pens and make nice writers. Enjoy them. that never belonged together. I am more than sorry for Pelikan’s misunderstanding of its history. You are certainly welcome to your opinion but I think that we’ll have to agree to disagree. 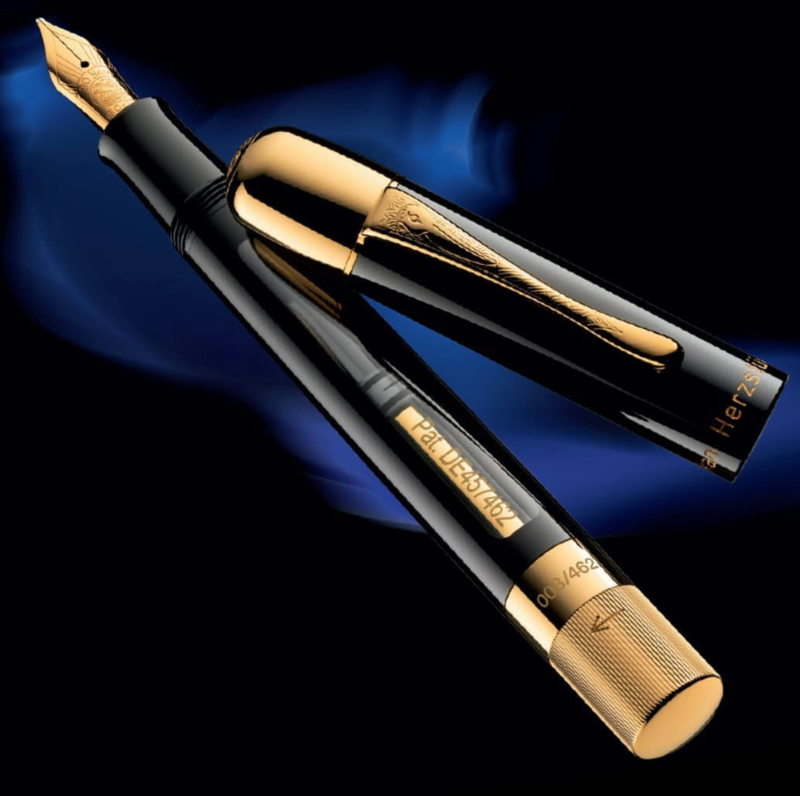 Montblanc is a manufacturer of luxury goods. All of their pens are high end and make up only a small portion of their focus. Pelikan is a brand that caters to a variety of levels, from school pens to high end luxury models/limited editions. 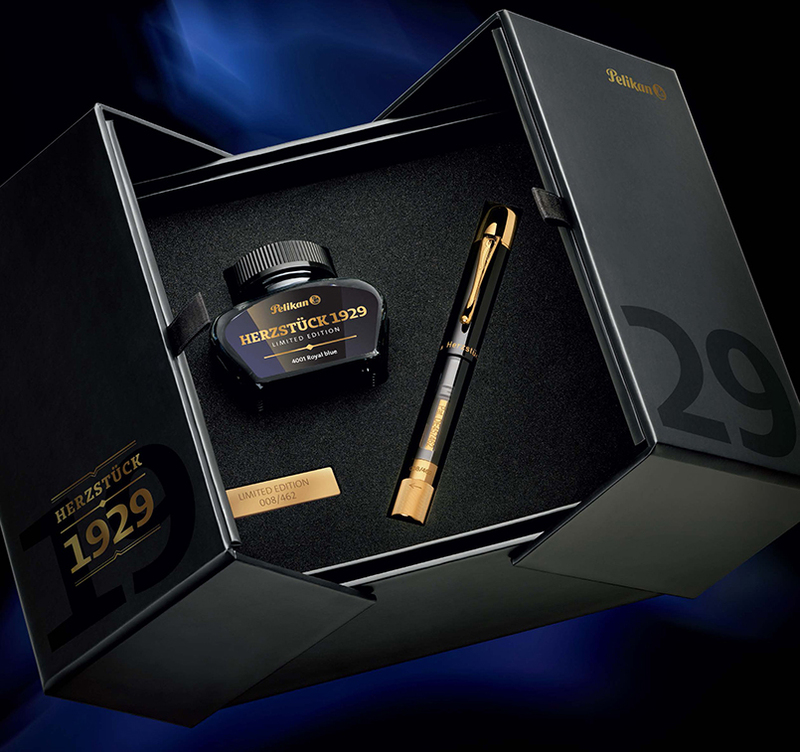 I don’t think the 1929 represents a haphazard mixture of pen parts for the sake of making a limited edition priced for the wealthy. I think it pays a nice homage to the time period but I do agree the price is exorbitant for what it is and I’ll leave it there.